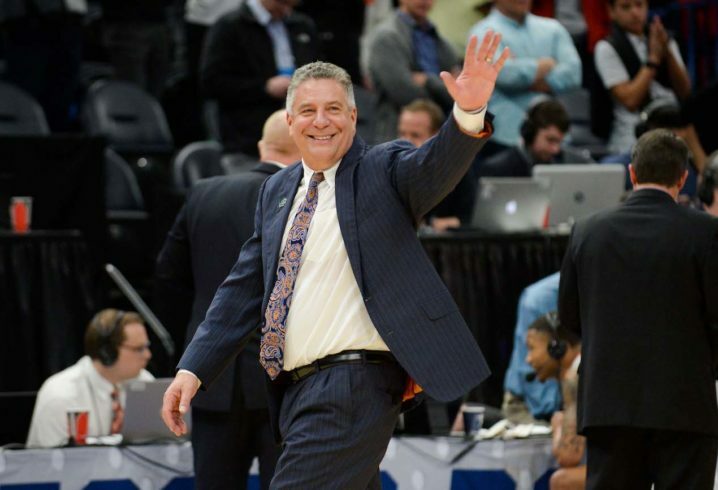 Bruce Pearl spoke to the media Friday before Auburn’s big NCAA Tournament game against Kansas. Q. Coach, at this point in the game, does experience matter? You are playing a Kansas team with four freshmen in the starting line-up and a guy who transferred from Memphis, NCAA debut on Thursday. Does that matter? BRUCE PEARL: I would think experience does matter. And older players have been there and done that. Sometimes, you know, for us we were in a situation a year ago where we were not able to compete in the Round of 32, we were down to seven healthy players, and our roster is a little deeper right now. So we’ve been there. We weren’t able to take advantage of that. Now we’re here against, you know, maybe the most historic program in the history of college basketball. With the opportunity now to get another shot at it is probably the thing that jumps out at me as far as experience is concerned. There are no freshmen anymore; they have all been through it before. And Kansas still has solid pros, former McDonalds All-American, and a Hall of Fame basketball coach so we’ve got our hands full. Q. You are coming off a very emotional and intense victory whereas Kansas won quite easily. Other than the fact that they could rest some guys at the end of the game, do you see any other advantages or disadvantages as far as the emotional state of the game? BRUCE PEARL: I was pleased with our team after the game because we weren’t very happy. We were accountable for the fact that we had a meltdown, and we did not play very well defensively or keep New Mexico State off the boards. New Mexico State’s inside guys really had their way with us, and Kansas’s inside guys are bigger and better. So we have our hands full from that standpoint. But the only other advantage/disadvantage was we were really tired yesterday. Five games in eight days is a lot, plus the travel. So, even though this will be six games in ten days, I really feel like having played early Thursday and now with a later start Saturday we’ll be fine, we will be fresher than we were on Thursday. Q. Coach, through your run in the SEC tournament, playing against teams like Kentucky and Tennessee, how have you seen your players’ confidence grow over this winning streak? 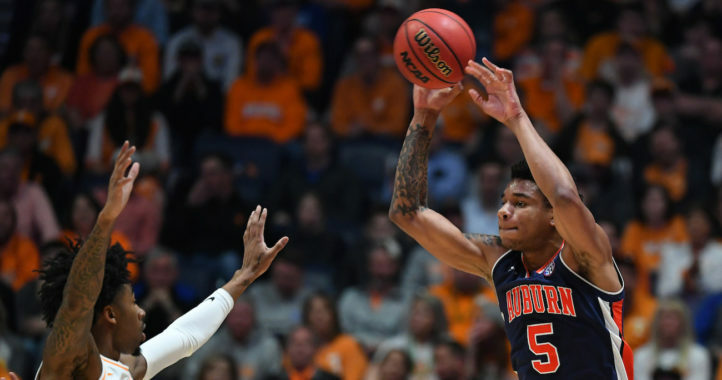 BRUCE PEARL: The thing that jumps out to me is the fact that over the last couple of years, if Jared Harper and Bryce Brown played well, we had a real good chance to win. If they didn’t, we had no chance to win. That’s not been the case here in March. We’ve had great play from our bench, we’ve had lots of different guys step up. And from a confidence standpoint, I think it’s been really, really good that those guys don’t have to carry us, that somebody else is capable. And so, therefore, the kids are trusting a process and they’re beginning to rely on themselves and each other more. Q. Coach, what do you do better or differently than other schools to make you the best turnover team in the country and create steals? BRUCE PEARL: Again, what jumps out to me is the rules are constantly changing and adjusting. I’m a Tom Davis disciple, 94 feet full-court pressure. But because of some of the different rules, trapping has virtually disappeared from our game. And so, therefore, our full-court pressure defense has really had to change. You can’t be as aggressive because you’re going to get calls for fouls. So we had to find a way to turn people over in the half-court. Simply put, we try to take a look at what you like to do and take away what you like to do and make you do something else. So how can we stop Kansas’s inside game? How can we stop Lawson with his inside-outside game? How can we stop those guys from driving down the lane? If we can figure out a way to do that and turn them over some in the process, we have a fighting chance to win the game. Q. Coach, your voice is in a better shape today than it was yesterday. What are the challenges when you do lose your voice down the stretch, especially in a game like yesterday when you’re trying to get play calls in or yell at guys to do certain things? How do you recover 24 hours before the next game? BRUCE PEARL: Can you repeat that? Q. I’m wondering in a tight game like yesterday, how do you get signals in to guys when you can’t scream? And part two, how do you get your vocal chords rested so you don’t make it worse? BRUCE PEARL: We have hand signals on how we call plays. I can call anything verbally, I can also call it with hand signals and communicate with my point guard that way. Late in the game, I had one timeout left and I did not want to use the timeout in case we were in an inbound situation where the inbound passer needed it. I’ll be honest with you, my coaches were asking me to call timeout and burn the last one, whether I should or shouldn’t have I don’t know. I instructed our guys, up three or up four, what to do in that situation. Now, could they then take that instruction, get it to the other players and execute it? Remains to be seen whether or not we were able to get that done or not. Obviously, we fouled a three-point shooter when we weren’t supposed to. There’s a fine line in there. You can go through a situation all you want in practice, but until you’re out there in that pressure situation, that’s why you understand that players are going to do what they do, you know. And they’re going to make plays, both good and bad, so that can sometimes win you games, it can cost you games. Q. Coach, you mentioned your guys being upset about the way the game finished yesterday. Every run has a game like that; one you have to survive, one that you’ve got to win ugly. Do you spin it that way after? Do you move on as quick as you can? What was the immediate aftermath of that with your guys? BRUCE PEARL: The immediate aftermath was the guys were really down, whether they missed the ball, turned the ball over. But we still won and we’re still alive and we still advanced. What can we learn from it? 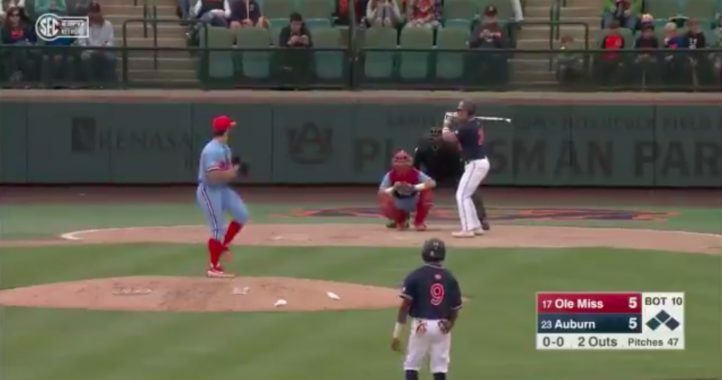 I tell parents this all the time: When Johnny strikes out and cries, or sometimes he throws his bat, I’d rather teach him how to care a little less rather than to teach him to care and not sure whether that was strike three, did we win? I want him to keep score, I want him to know. The fact our guys were down tells you they wanted it really badly. Sometimes wanting it really badly can get in the way. We’ve been in a lot of close game situations because we play in the SEC. I told my team that one of the advantages that we had over New Mexico State is they haven’t been in very many close games because they’ve dominated the WAC. It’s going to be a close game. I mean, I knew it was going to be a close game because I knew they were that good and I knew we weren’t that much better than they were. We made five out of our last six free throws. That’s how you close out games. We still did some good things at the end. Q. How important has Chuma been to what you do defensively, as far as creating turnovers? How unique is it to have a big guy leading your team in steals? BRUCE PEARL: I know you all love the game, watch Chuma, just watch him, because I know the pro scouts are. He is always in the right place at the right time. He is a great defender. Great hands, great instincts. Covers up a lot of our misses and mistakes and has got a great future. He gives us terrific versatility. The match-up of he and Lawson will be a good match-up when Lawson is playing the four. Lawson will also play a lot of five, mostly five. When he does, I don’t know if I can get Chuma on that match-up as often. He’s been a great, great guy to coach ‘cuz he gives us great versatility defensively and then offensively he can score inside and out. And so he’s really a guy that we try to play call for and he’s been a big difference maker for us this year. THE MODERATOR: Time for two more. Q. Bruce, I’m sure there’s a lot of gamesmanship at the free-throw line that we can’t see or hear. I’m curious how you felt about J’Von doing the choke sign yesterday? BRUCE PEARL: I didn’t hear about that until ten minutes ago, so I apologize. And I talked to J’Von about it — maybe it was 20 minutes ago — I just talked to him about. I haven’t seen it so I can’t comment on it. It’s certainly not something that you want or certainly not anything you promote. And for me, what I would love, with your cooperation, J’Von McCormick, great kid, great family, played in a smaller JuCo, his best offers were Florida International and Florida Atlantic. When we lost Davion Mitchell to transfer in the spring, I had a scholarship for a player on a team that had a chance to go to the NCAA tournament, and I couldn’t give it away because I had Jared Harper and Bryce Brown. Nobody wanted to come to Auburn because everybody recruited wants to start, they all want minutes. I recruit guys straight up. This is most likely going to be a backup position. You can challenge those guys. To his credit he said, I’m going to come in and push him. If I come off the bench, I come off the bench. He’s a great kid. And we haven’t lost in March, and one of the major reasons is because of J’Von, his ability to come off the bench, his quickness, to accept the role that he had, not complain about it. He hasn’t started a game, he hasn’t come close to starting. So the story for me with J’Von is, Hey, J, I haven’t seen this yet, but unfortunately you have given the world an opportunity to focus on that, which I wish they wouldn’t, but sometimes you have a responsibility. So we’re dealing with it. All it is, you look at it as a lesson, not only for him but for the next guy. That’s not at all his character and that’s not at all ours. Q. You were talking about your coaching philosophy and things and I don’t know if you saw this, but Tom Izzo is a lightning rod today because he went out and yelled at a guy pretty harshly. What’s your take on coaching players in games when they mess up? BRUCE PEARL: That’s a great question. The great Pat Dye at Auburn said: You can coach them as hard as you love them. There’s nobody that can yell at your kids like you can. Nobody. You wouldn’t let anybody else yell at your kids if you feel like you need to in a particular moment. Why? Because you love them. They love you. They respect you. And so that’s number one. Number two, sometimes kids are afraid to fail. Sometimes they’re scared for the moment. And why not, the moment’s huge. I’d rather have them scared of me and what I might say to them or how I might bite their head off versus being afraid to fail and not execute something. So I don’t know what all the hubbub is about, I haven’t seen him yell, but I have seen it before. And so my guess is it’s a huge overreaction. Kids still want discipline. Kids still want to be coached. They want tough love. And I want my son playing for a guy that knows his role. That’s your head coach. By the way, I told my guys, Half the time I’m yelling at you, I’m wrong. I’m wrong. But I’m going to do my job to the very best of my ability. You do your job to the best of your ability.